According to the National Sleep Foundation, in the United States alone, acid reflux or heartburn is one of the main causes of disturbed sleep. This medical condition happens when stomach acid shoots up to your esophagus and cause that burning sensation and irritation in your chest and throat which further interferes your sleep. 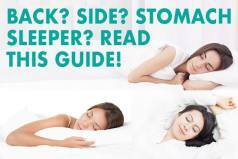 How Does Acid Reflux Affect Your Body and Sleep? This backflow of acid can reach your larynx and throat which triggers coughing and choking sensation. This is what arouses you from a deep sleep and makes it difficult for you to sleep again. There are around 60 million people in the United States who suffer from acid reflux. It’s alarming to note that approximately around 25 million Americans experience GERD every day. This can cause a lot of complications to your health, sleeping habits, career, and even your social life. A hiatal hernia – A disease occurs when the upper part of the stomach and LES move above the diaphragm, causing acid to move up into your esophagus. Eating large meals and/or lying down right after and/or bending over at the waist. Eating citrus fruits, spicy foods, mint, fatty foods, chocolate, tomatoes, garlic, onions, etc. Drinking coffee, tea, carbonated beverages, alcohol, etc. Taking medications that relax certain muscles: Blood pressure medications, aspirin, etc. Pregnancy – Especially during the third trimester due to the pressure from the growing fetus as well as an increase in hormone levels. Tips to Deal with Acid Reflux! Counting sheep may not be the ideal method in this case. Certain lifestyle changes, diet modification, and routine exercise can help you decrease chances of experiencing acid reflux and therefore improve the quality of sleep. Sleep therapists and GI specialists recommend eating more frequently but in smaller bite-sized portions. Also, your diet should exclude alcoholic drinks, soda, coffee, chocolates, citrus fruits, spicy food, and fried food that can trigger GERD. Avoid going to sleep right after dinner. Wait it out for at least 3 to 4 hours before you hit the sack. Physicians recommend GERD patients get a new mattress, not just for greater comfort, but to address problems with poor posture when sleeping. Your sleeping position plus the wrong mattress can definitely ruin quality sleep. 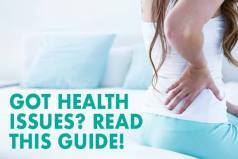 The right mattress will keep your body properly aligned and help you get rid of or at least reduce acid reflux symptoms. Adjustable mattresses or beds that can be customized to your needs are perfect for GERD patients. Such bed gives you the freedom to personalize it and adjust it to suit your specific needs. This allows gravity to do its job and keep stomach juices down. You can also pair such models with adjustable bases that will allow you to elevate your upper body as much as you need to feel comfortable and fall asleep easily without experiencing acid reflux. Read our adjustable bed reviews and see which one will be the best for your mattress and your specific needs. Changing your mattress is the easiest way to manage and prevent acid reflux symptoms. There are many available options that vary in technology, materials and functionality. Make sure to pick one that will perfectly work for you and suit all your specific needs and sleep preferences. Choosing a new model can be confusing, but we will try to make things easier for you by providing you with our top 5 picks that could help you reduce your acid reflux symptoms. The IDLE Sleep Hybrid mattress is a great 14″ hybrid coil / foam mattress that recently hit the market providing the benefits of both innerspring mattresses and memory foam mattresses and offering you the option to flip the mattress over and extend its life. The IDLE Sleep Hybrid mattress comes in two firmness options and provides excellent support for all sleeping styles and all types of sleepers. In addition, it sleeps incredibly cool due to the use of various cooling technologies in its cover and the foam layers. The innerspring pocketed coil construction also helps prevents heat buildup. 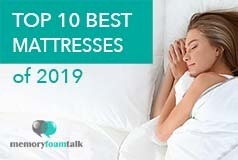 The cooling features as well as good support makes the IDLE Sleep Hybrid a great mattress for couples as well as those who suffer from acid reflux as it provides the right contour and support for the upper body. Get the full IDLE Sleep Hybrid mattress review. The Helix Midnight Luxe is an innovative mattress that has recently been released by Helix Sleep online mattress company that utilizes an online questionnaire to customize the design and construction of new beds and enable couples to have their own individual sides completely customized to their needs which is excellent for those suffering from acid reflux. It is a 14″ hybrid mattress made up of gel memory foam, 1000 + pocketed coils, and foam although its construction varies based on the preferences entered on the company’s online questionnaire. The Helix Midnight Luxe mattress offers a perfect balance of comfort and support and comes with some special features such as a body zoning technology that provide the right amount of support to those areas of your body where it is needed most, an incredibly soft pillow top that will make you feel like sleeping on clouds, and an ultra breathable cover that will keep you cool and comfortable all night long. Get the full Helix Midnight Luxe mattress review. The Loom and Leaf is another great option for those suffering from acid reflux. The Loom & Leaf comes in two different firmness options to cater to sleeper needs and preferences better. The firmer model (an 8 out of 10 in terms of firmness, 10 being the highest) is a lot softer compared to the Relaxed Firm model (a 5 out of 10). If you’re sleeping alone, the softer Relaxed Firm is adequate, but if you’re sleeping as a couple, especially those with huge weight difference, we highly recommend the Firm. The Loom & Leaf has an excellent medical grade cooling layer which allows it to sleep cool, a lot cooler than competing products from different mattress companies, which is important to sleep comfortably. The high quality memory foam construction gently conforms to your body shape. Its support foam will support you and help alleviate acid reflux symptoms. It also perfectly fits adjustable bases, especially Saatva adjustable base which further allows those suffering from acid reflux to adjust the mattress according to their specific needs. If you share your bed with a partner, you can get two Twin XL Loom and Leaf beds and use them with the split adjustable base. In this way, you can adjust your side independently from your partner and you won’t disturb his/her sleep. Loom and Leaf offers quality that is on par with leading store brands such as Tempur Pedic at a fraction of the price of the in-store mattress brands and is a great option for those suffering from acid reflux. Get the full Loom & Leaf mattress review. The Nectar Sleep promises perfect comfort and this is what exactly it delivers to customers. It has a lifetime or “forever” warranty which speaks volumes of their confidence in this product. It features gel memory foam for superior cooling, pressure relief, and even weight distribution. If you choose it, you won’t have to worry about sleeping hot as it doesn’t retain heat. Also, it has an adaptive hi-core memory foam which suits acid reflux patients because it’s a recovery foam that provides adequate support to the body, ideal loft, perfect contour and bounce. It also has a good edge support. It is designed to provide better sleep and fewer distractions with the foam’s luxurious feel and good compression support. Nectar also provides their customers with a 365 night sleep trial and for all these reasons, but most importantly for the comfort it provides, we picked the Nectar mattress as one of the best models for those suffering from acid reflux. Get the full Nectar mattress review. The Layla has 4 layers of memory foam which are copper-infused and bolsters its cooling properties for a more comfortable sleep and helps promote blood flow and circulation. The Layla also has a unique option of being dual-sided with two firmness levels to choose from – one firm and the other soft, just by flipping it over without the need to unzip the cover and swap the layers, which is great if you suffer from acid reflux and want to customize firmness yourself. It is also powered by ThermoGEL technology which is known for enhancing its cooling properties and also promotes temperature regulation, which helps it sleep cool and comfortable. All these features make the Layla a good choice if you are suffering from acid reflux. Iam considering a remote control bed for Gerd condition I have. foam mattress I never have used sounds interesting to try out. Is there a thickness of foam mattress rule to place on a remote lift at headboard. I seen 6 inch up to 10.5 I believe. which is best thicknes to use. Iam 275 lbs. Thanks for any answer on this subject.